Focusing Mesoscales of Multiscale Problems in Chemical Engineering, a volume in the Advances in Chemical Engineering series provides readers with the personal views of recognized authorities who present assessments of the state-of-the-art in the field and help readers develop an understanding of its further evolution. 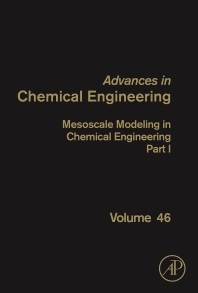 Subjects covered in the book are not limited to the classical chemical engineering disciplines. Contributions connecting chemical engineering to related scientific fields, either providing a fundamental basis or introducing new concepts and tools, are encouraged. This volume aims to create a balance between well developed areas such as process industry, transformation of materials, energy, and environmental issues, and areas where applications of chemical engineering are more recent or emerging. Chemical engineers in general, especially reaction engineers. University faculty, students and researchers as well as industrial researchers, mainly in chemical engineering/chemistry but also mechanical engineering (combustion engineers) and possibly some applied mathematicians. 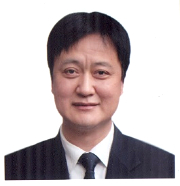 Jinghai LI is Professor in Chinese Academy of Sciences (CAS). He also serves as the VP of CAS and China Association of Science and Technology, VP of International Council for Science (ICSU) and the Executive VP of Chemical Industry and Engineering Society of China. He established the Energy-Minimization Multi-Scale (EMMS) model for gas-solid systems. The model has been extended to many different complex systems, and generalized into the EMMS paradigm of computation featuring the structural and logic similarity between problem, modeling, software and hardware, which has been implemented by constructing a supercomputer with capacity of 1 Pflops and has been used widely in chemical and energy industries. He is also engaged in research in clean coal technology. Currently, he is devoted to promoting the concept of mesoscience based on the EMMS principle of compromise in competition as an interdisciplinary science. He sits on editorial committees or international advisory boards for several international periodicals, such as Powder Technology, Advances in Chemical Engineering, Chemical Engineering Science, Reviews in Chemical Engineering, and Granular Metter. He is editor in chief of Particuology. He holds memberships from CAS (Chinese Academy of Sciences), TWAS (The Academy of Sciences for the Developing World) and STWA (Swiss Academy of Engineering), The Royal Academy of Engineering (RAEng), Australian Academy of Technological Sciences and Engineering (ATSE). Guy B. Marin is professor in Chemical Reaction Engineering at Ghent University (Belgium) and directs the Laboratory for Chemical Technology. He received his chemical engineering degree from Ghent University in 1976 where he also obtained his Ph.D. in 1980. He previously held a Fulbright fellowship at Stanford University and Catalytica Associates (USA) and was full professor from 1988 to 1997 at Eindhoven University of Technology (The Netherlands) where he taught reactor analysis and design. The investigation of chemical kinetics, aimed at the modeling and design of chemical processes and products all the way from molecule up to full scale, constitutes the core of his research . He wrote a book “Kinetics of Chemical Reactions: Decoding Complexity” with G. Yablonsky (Wiley-VCH, 2011) and co-authored more than 300 papers in international journals. He is editor-in-chief of “Advances in Chemical Engineering”, co-editor of the “Chemical Engineering Journal” and member of the editorial board of “Applied Catalysis A: General” and Industrial & Engineering Chemistry Research”. In 2012 he received an Advanced Grant from the European Research Council (ERC) on “Multiscale Analysis and Design for Process Intensification and Innovation (MADPII)”. He was selected to deliver the 2012 Danckwerts Memorial lecture. He chairs the Working Party on Chemical Reaction Engineering of the European Federation of Chemical Engineering and is “Master” of the 111 project of the Chinese Government for oversees collaborations in this field.